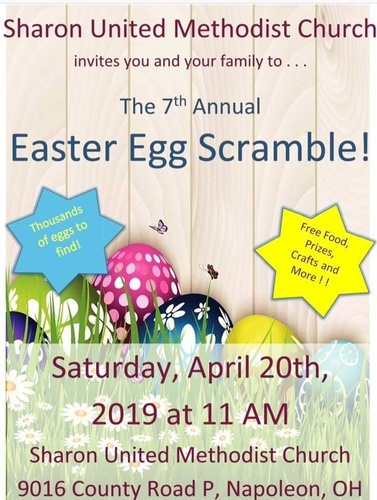 Sharon United Methodist Church inviteds you and your family to the 7th Annual Easter Egg Scramble! Thousands of eggs to find! Free food, prizes, crafts & more!